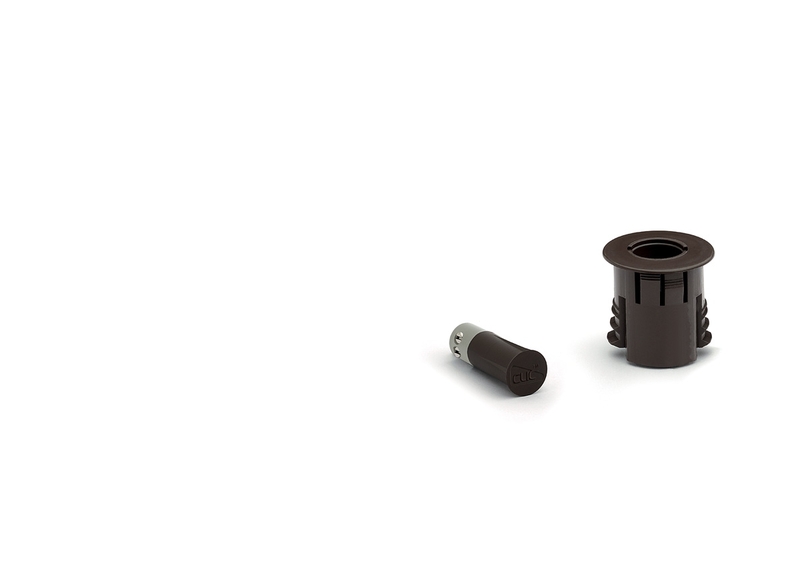 Based on Magnasphere technology, CLIC V-series vibration/shock sensors use a novel magnetic principle to detect vibrations. Like in previous technology, CLIC vibration sensors work with a sphere that reacts to movement by changing its position from its static equilibrium. What sets this new technology apart from the competition is that fact that the sphere’s equilibrium is kept not by simple gravity or springs, but by permanent magnetic fields. When the sensor is subject to vibrations, the internal sphere moves from its magnetic equilibrium point, opening the electrical circuit. 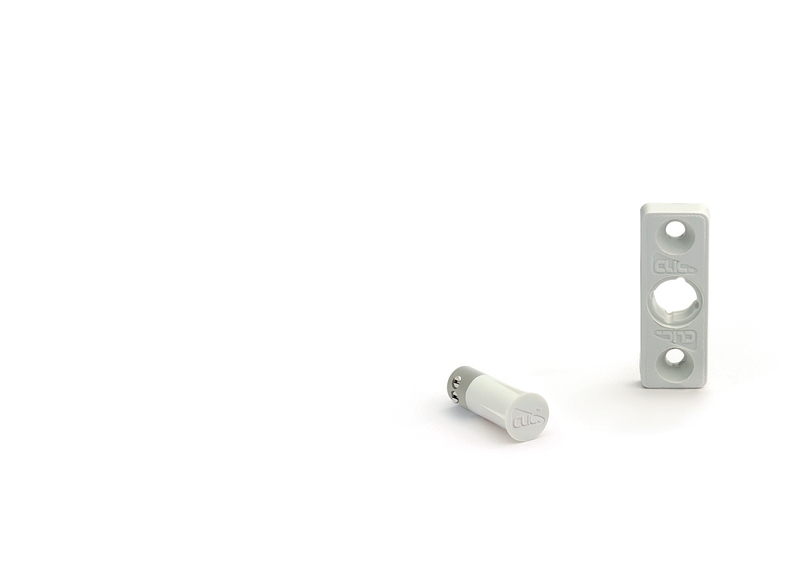 This disruptive principle enables CLIC V-series sensors to overcome all intrinsic limitations of previous technologies. 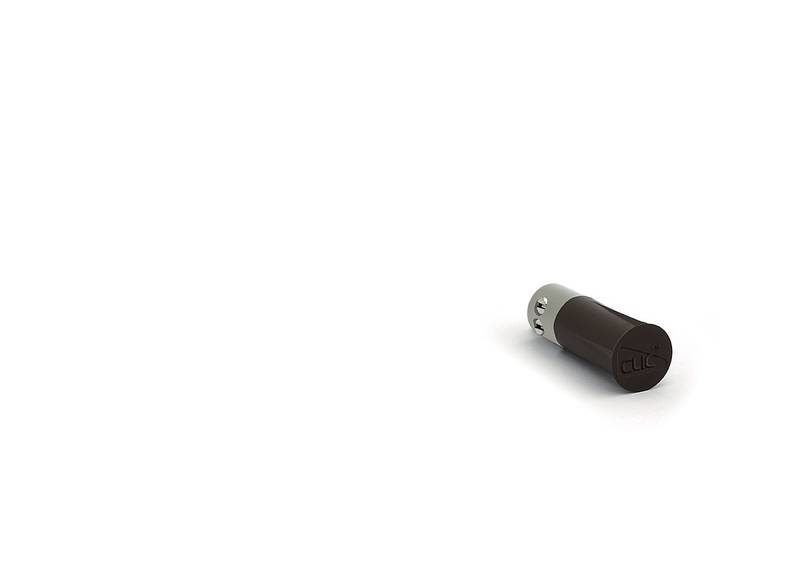 The accurate engineering of the balancing magnetic fields enables reaction times that are compatible with the best passive vibration/shock detectors based on traditional technologies. This way CLIC V-series sensors are fully compatible with most analysis boards, even those embedded in wireless transmitters. Furthermore, using magnetism rather than gravity to keep the moving part in equilibrium allows for a design that employs a much smaller and lighter sphere. 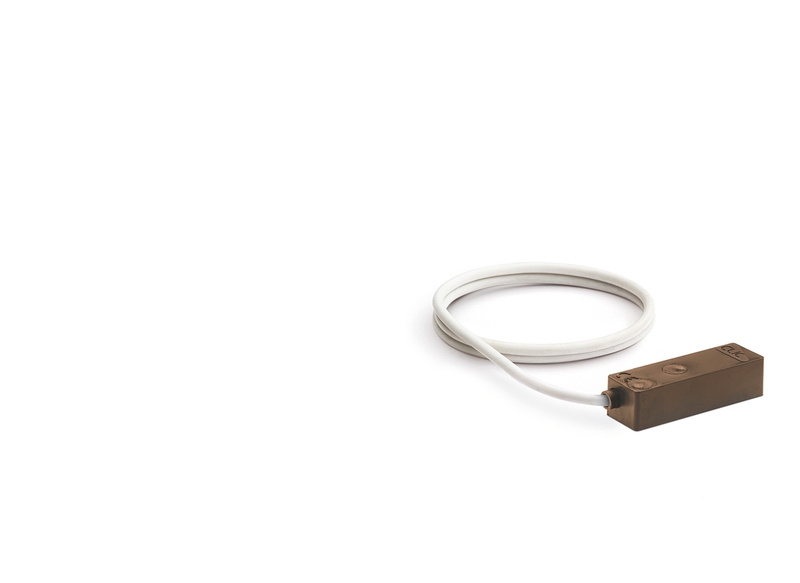 Together with high quality metals employed by Magnasphere switches, this makes CLIC V-series sensors highly dependable and durable, virtually immune to the quick degradation of electrical properties of traditional, gravity-based technologies, where much more substantial masses are used as vibration detectors. 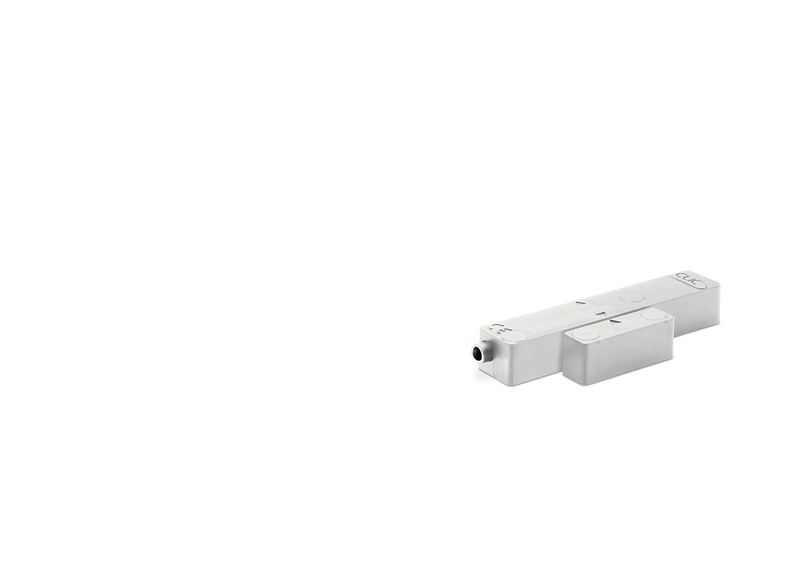 A robust, all-metal construction makes it resistant to temperature fluctuations, minimising false alarms. 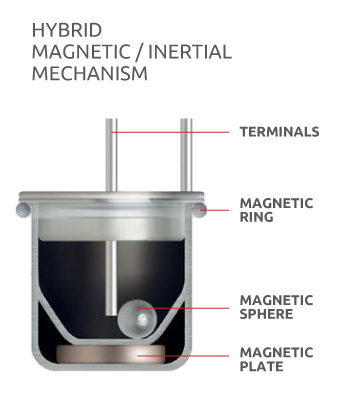 Finally, since magnetic fields alone are responsible for keeping the internal sphere in equilibrium, V-series sensors can be installed without any positioning constraints, allowing their placement near the regions of the door or window that are more susceptible of being forced open during a break-in attempt: higher security, lower installation costs. CLIC vibration/shock detectors: efficient, secure, dependable. 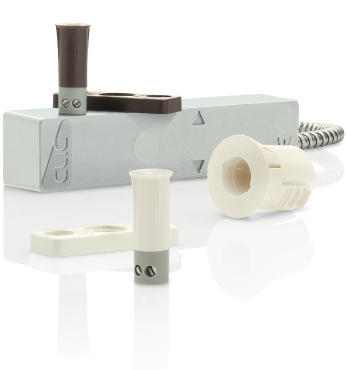 CLIC V-series are the first vibration/shock sensors based on Magnasphere technology. Thanks to their hybrid inertial/magnetic technology, CLIC vibration sensors are not subject to any positioning constraints. Therefore they can be installed in the areas of the door that are more commonly attacked by burglars, e.g., near the lock.